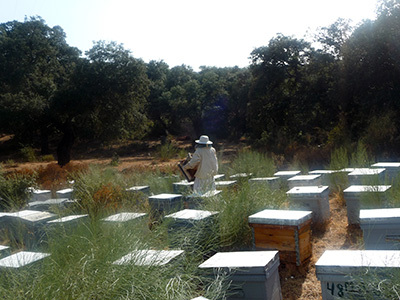 The center has a shop of local and ecological products, where we highlight our Honey from Mount Algaba and Products of the Iberian Golden Pigs that we work with our partners Dehesa los Monteros. 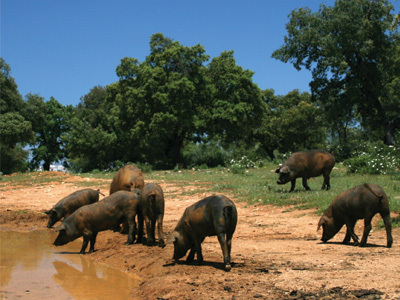 The farm has been declared ecologically since 2001 by the Andalusian Committee of Agriculture, which commits us more if it can guarantee its conservation through careful agroecological planning. Committed to the defense of the rural world we have opted for the promotion of agroecology to guarantee the conservation of ecosystems, to provide food of the highest quality and better the life choices of its inhabitants. PROGRAM OF RECOVERY OF BREEDING RACES IN EXTINCTION HAZARD: ANDALUSIAN HENS, CARDENAS COWS, SHEEP MERINA GRAZALEMEÑA AND ANDALUSIAN DONKEY. Check our livestock offer for life and help the conservation of our livestock breeds! A place where beauty, diversity and richness of the rural world join forces to facilitate the pleasure of knowing a culture, quality life and wellbeing. (Español) ¡ Abierto el plazo de inscripción del curso GRATUITO HOTU0109 Alojamiento Rural !